How do I login to ILLiad? Under Services, select Borrowing from Other Libraries to find the Login to ILLIad link. 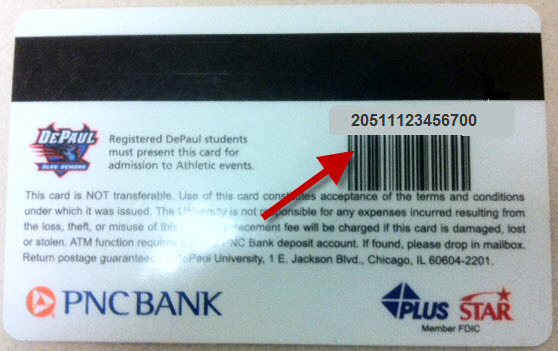 Enter your 14-digit library borrower ID from the back of your DePaul ID card above the barcode (begins with 20511). Only currently enrolled DePaul students, as well as current DePaul faculty and staff, are automatically entered in the ILLiad database. Students must register for a course to get active status in the PeopleSoft database. The student should ask his or her adviser or college office about what course is appropriate for their status. Retired DePaul staff and faculty can also be added to the ILLiad database. Please contact the Associate Director for Administrative Services for more information.